"Village of the Friendly Indians at the Entrance of Bute's Canal", 1792. Click for zoomable version. 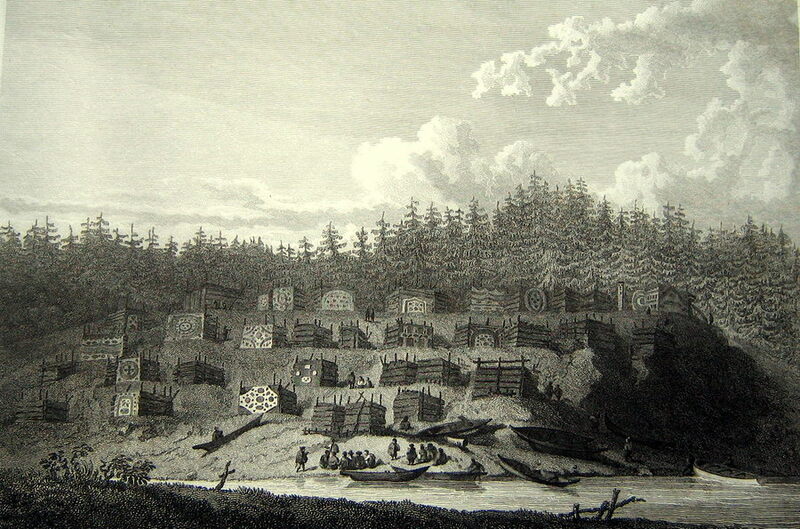 The above image shows a seemingly improbable Kwiakah Kwakwaka’wakw Village (EDIT: probably Homathko Coast Salish Village) at the entrance to Bute Inlet, as drawn in 1792 by a member of Captain Vancouver’s expedition. With the houses scattered up a steep hillside, the top one apparently partially cantilevered out, it does not fit the average archaeologist’s mental model of a typical Northwest Coast village. The setting would undoubtedly have some defensive advantages, at least for those at the top. I know of another image of a steeply-tiered village site which is apparently not strictly a defensive site. Hard to live on the side of such a steep hill, you might think. Wouldn’t it be nice to have photographs of such a village? Aha. King Island, Alaska, ca. 1888. Source: AK Digitial Archive. As you can see, the village of King Island in the Bering Straits was an even more precarious village site, with houses supported, cantilever-style, on posts. The photo was taken by Mrs Allen Shattuck (Agnes Swineford) and is part of a remarkable photo album called A summer on the Thetis, 1888, browse-able at the Alaska Digital Archives. This King Island village looks pretty remarkable. Occupied until the 1950s, as can be seen in this photo set, the Inupiat inhabitants subsisted largely on Walrus hunting. It’s not my kind of place, but it should give NW Archaeologists pause. If this kind of village is possible on a treeless island in the stormy Bering Straits, then clearly the Bute Inlet village is entirely reasonable. 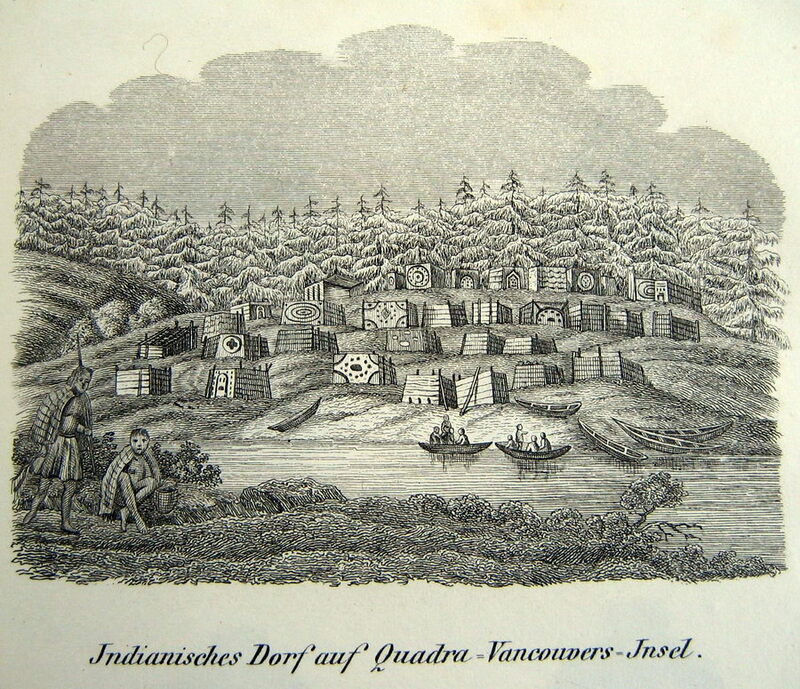 Indeed, the idea that some west coast houses may have been built on stilts has been floating around for a while, as shown on this older SFU web page discussing hearth-mounds in Nuxalk territory, complete with a reconstruction of an elevated house. Ben Muse has a good roundup of King Island links, many of them his own – click through for accounts dating back to 1822 and earlier. While the village is unusual, and probably an outlier, it does speak loudly to the wide realm of possibility on the Northwest Coast and how some terrain which just seems “wrong” for habitation may not have been so wrong after all. King Island dwellings from above, ca. 1915. Source: AK Digital Archives. This entry was posted in alaska, anthropology, Archaeology, First Nations, history, Northwest Coast and tagged alaska, Bute Inlet, household archaeology, houses, Inupiat, King Island, Kwakwaka'wakw, Kwiakah, stilts. Bookmark the permalink. Very interesting set of photos and prints. With regards to the houses at Nuxalk, I spent part of my field school time with Phil Hobler excavating some of those mounds in 1991 (I volunteered in 1990 to brush the locations as well). Unfortunately I can’t remember the source, but Phil had known about the houses on stilts for quite a while, based on some early ethnographic photographs and documents. He was vindicated in his suspicions when we began to encounter many post molds … which definitely prepped me for eventual eastern NA CRM work and the oodles of post molds there (which I do not miss recording at all). With regards to the King Island structures, it is interesting to ponder the process by which sufficient construction materials could have been procured prior to the use of large ships. Is it possible that this construction style became more popular after the 18th century (the linked articles don’t suggest houses on stilts were there prior to 1820)? I wonder how long these materials were curated & re-used ? Anyways, neat-o. Hmmm … facilitates refuse disposal but poor folks at the bottom of the hill. This must be the same village from which the Kwakwaka’wakw raided the Tsilqhot’in at Chilko Lake? I’m thinking I screwed up and it’s a Homalthko Coast Salish village? I added an edit to the post. I am pretty sure that there is a report on the site you picture first done by Len Ham in the early 1980’s, maybe Howe and Ham? The fort at Kitwanga was constructed somewhat like that – leaning palisades around the top of a knoll, though the houses were on ground inside and not on stilts of any kind. and if this did not work, it is called At Home in the Wilderness, published in 1867 in London. Google books has scanned it so easy enough to find with a search. Remi: so, not to be rude, that reconstruction with the interior hearth mounds is solid and real? APM: cool quote. I think these stilt dwellings are a cool idea to keep in mind, both for more marginal village sites, for wetlands, and also for early Holocene – an idea I think I heard Farid express about 10 years ago. qmackie – maybe you can expand on why they might be a good model for an early Holocene house type. Something about the conditions then that would make them desirable – like more rainfall than now? Good protection of stored food from bears and other animals? More local floods or rapid events related to land slips causing scouring floods along valley floors? I am trying to think why the extra effort of raising a house off the ground would be worth it. I have a pet theory about the NWC House as Storage Box which I really should write up some time. When you look at some of the raised caches which are like little houses on stilts, it sort of ties in here. 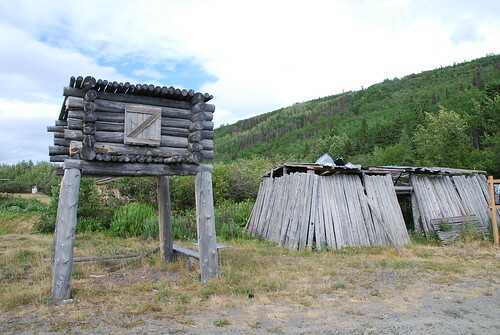 This is the first picture I could find of one – a salmon cache next to a smoke house at Klukshu, YT (Champagne and Aishihik FN). Quentin, i think that’s a reasonable question given some of the dioramas out there – the reconstructed Nuxalk house is a facsimile of the possibilties suggested by what came out of Phil’s excavations. I do remember him saying that the early accounts had the floors of the houses 15 feet off the ground, but he dismissed that as fantastical – he thought 5 feet would be sufficient to get above the seasonal flooding. The beauty of the hole in the floor & the mound below is that it would probably get a good cleaning every spring with the floods. But the downside would be, no fire during the flooding times (though maybe that is when they weren’t there anyway?) Anyway, together with Mackenzies observations which must have been from very nearby, it does seem entirely possible now. I wonder if Hobler would amend that opinion after this year’s floods. 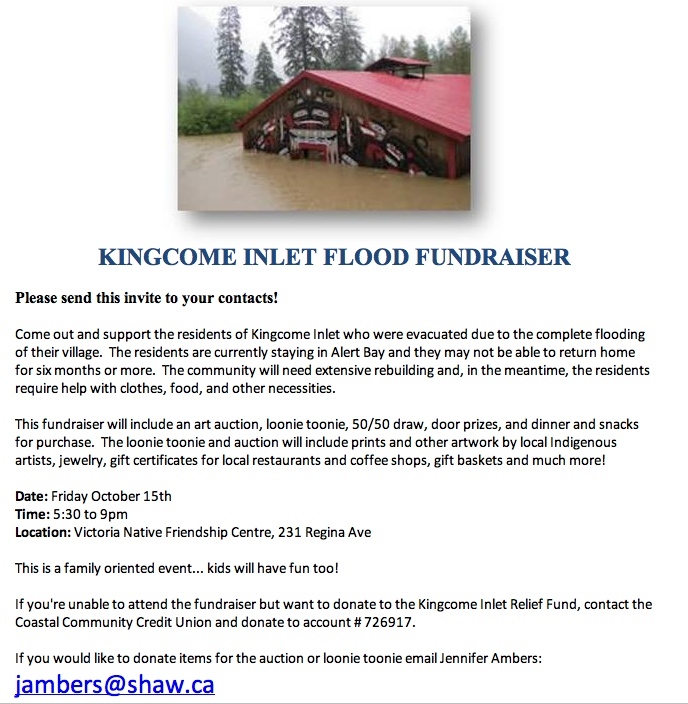 Kingcome Inlet flood waters were around 5m deep at the helicopter pad, which is more than 15 feet. The latter document has a lot of cool pictures of BC, such as interior of a Salish house and Salish graves on pages 60 and 61. Another interesting image is on page 5 of a battle between Haida and Tsimshian at Fort Simpson – you have to enlarge the document to really see what is going on. So, now that I have gotten very far away from stilted villages, someone else can haul this back in line. That diggingforgold PDF is a gold mine in its own right, APM, thanks. If you zoom in on the Bute inlet image, it sure looks like the artist is representing terraces above the lower house between the gullies. And at Ches-la-kee’s village it also looks very much like terracing and midden or even soil terra-forming, which we also saw in the Webber Nootka Sound images from a few weeks ago. To explain what I said above, the Nuxalk reconstruction seems reasonable and yet sort of dubious. It’s nice flat land and having to sink in dozens of supporting posts and then having to create a whole raised structure with a suspended floor is just so much more work that the benefits would have to be immense. I can see that for wetland habitations more readily than what I see in the SFU pics. But willing to alter my thinking too! July 19, 1793, (Sir) Alexander Mackenzie was two days out of Friendly Village – at the probable site of Bella Coola – when he canoed past six house built on 25-foot tall stilts! Clearly, the stilts were part of a coastal culture. And would it be reasonable to assume that the extended posts and crossposts – above the roofs – was used for curing fish? The village consisted of four elevated houses, and seven built on the ground, besides a considerable number of other buildings or sheds, which are used only as kitchens, and places for curing their fish. The former are constructed by fixing a certain number of posts in the earth, on some of which are laid, and to others are fastened, the supporters of the floor, at about twelve feet above the surface of the ground: their length is from an hundred to an hundred and twenty feet, and they are about forty feet in breadth. Along this centre are built three, four, or five hearths, for the two-fold purpose of giving warmth, and dres- sing their fish. The whole length of the building on either side is divided by cedar planks, into partitions or apartments of seven feet square, in the front of which there are boards, about three feet wide, over which, though they are not immovably fixed, the inmates of these recesses generally pass, when they go to rest. The greater part of them are intended for that purpose, and such are covered with boards, at the height of the wall of the house, which is about seven or eight feet, and rest upon beams that stretch across the building. On those also are placed the chests which contain their provisions, utensils, and whatever they possess. The intermediate space is sufficient for domestic purposes. On poles that run along the beams, hang roasted fish, and the whole building is well covered with boards and bark, except within a few inches of the ridge pole; where open spaces are left on each side to let in light and emit the smoke. At the end of the house that fronts the river, is a narrow scaffolding, which is also ascended by a piece of timber, with steps cut in it; and at each corner of this erection there are openings, for the [attention Mad Dog] inhabitants to ease nature. The houses. which rest on the ground arc built of the same mate- rials, and on the same plan. Dan – it would be reasonable. This image of the Makah village on Tatoosh island shows the fish drying racks on tops of the houses – I thnk mostly or even exclusively for drying halibat. This is the same village, and you can see the fish drying, as well as some platforms adjacent to the higher house that is on stilts. And many thanks for the link! This is the full journal, as opposed to the abridged version, which I recently read. But, as usual, I am a little perplexed about something … in this case the name change from Maclaurie to Sir Alexander Mackenzie. I know that Mackenzie was the surname of his Scottish wife, but … ? Can you point me in the direction of someone who might be able to answer questions about that? Dan, my understanding is that some unknown person took Mackenzies published journals and created an unauthorized, dumbed-down, pirated edition of them in 1802, rewriting them in the third person as the adventures of a (fictional) Mr Maclauries. In other words, its a ripoff but I suspect because much of the text is the same and it is a lot shorter and probably more copies were printed that it has been more heavily digitized by people not knowing the backstory. It’s better to see the Mackenzie version which I couldn’t find readily, because for example the Maclauries ends well before the inscription at Mackenzie Rock. I’d known several of those refs before, but together they add up to an impressive body inferring that the ‘NWC house’ was not limited to the two or three basic styles that are referred to in the published literature! I remember Jennifer Carpenter also having a number of references to Heiltsuk houses on stilts. Morley, I was thinking the same thing about this topic. A few house-on-stilt references thrown together from various sources in a couple of hours, some of them new ones to each of us, and it suddenly looks like a viable category of NWC house, and suggests they probably occured in various places and perhaps were not even all that uncommon. I have wondered for years since reading that Lord reference if there is any wet site left from the Sumas Lake site – probably plowed and rotted away over the last 100+ years or whenever the Vedder Canal was put in to drain the lake. Two major historic-era villages in the Broken Group were on piers out over the beach / below veg line which and have precontact terraformed midden deposits above and behind them. twoeyes — thanks. This also came up when we were looking at the Webber paintings of Yuquot, which showed various kinds of house-front platforms and boardwalks. I know you don’t like the characterization of shell midden stratigraphy as “a nightmare” but part of waking up from that nightmare is to full appreciate the variety and range of possibility of the structures on top of and in front of the middens (not to mention the possibility that the midden and the houses may be spatially distinct in some cases). 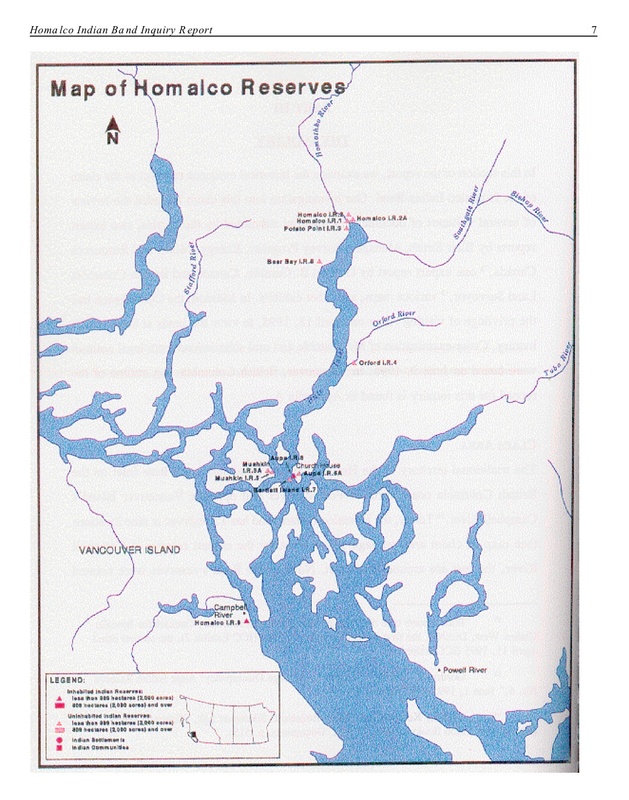 I think it was Duff (in his MS ‘Kwakiutl Notes’) who reported that the Tsawataineuk retreated to a “fortified house” built on a platform over the Kingcome River to escape attacks by a number of other groups, but that their attackers ended up canoeing underneath the house and firing rifles up through the floor, which evidently succeeded. The Kitsumkalum village of Dalk Gilakyaw (spelling is wrong, I know; aka Robin Town) was a terraced site on the Kitsumkalum River. RBCM’s website features some of James A. McDonald’s research on this (in their “Living Landscapes” section). That Living Landscapes set of pages is one of the best ones in that LL series — I just glanced over it but it looks great. Thanks for the link, I’ll probably put it on the front page some day soon. The reason I dislike your emphasis on ‘nightmares’ is that I feel this unnecessarily perpetuates the sense that shell middens are irreconcilably complex. In my mind, this is a stick-in-the-mud sentiment which emphasizes equifinality through cautionary tales rather than possibility through primary observation. Thinking more about the topic, I remembered FiTd-014 – the site map doesn’t do it justice at all in reviewing it, as the client never paid and we cut our losses short (boo client). Anyways, I didn’t think much about it at the time, but the site consists of a very thin, scattered midden stretching up a 20-30 degree slope for at least 200 m inland from the tidal shoreline, and containing at least 4 discernable 4×4 m flat areas (interpreted as house platforms in the field at the time) – for some rerason only one showes up on the submitted site map though). We never finished figuring out the site boundaries up the mountainside, but from the water’s edge to the highest part of the known site there is an ~50 m elevation rise (over 200 m remember …). No geological features to suggest raised & relict shoreline terraces, all slope with the platforms excavated out of the slope. Makes me want to go back and open up one of those platforms now … Morley, in case you’re in that area in the future you should check it out. form the front of the embankment. Over this beam others are placed which are parallel to the first pair. These are also notched so as to fit the front beam and to support the next higher beam. Thus the whole front of the embankment is raised in a manner similar to our log-cabins. ‘rhen the space that is thus enclosed is filled in with hemlock-branches and with soil. This method of building foundations is also applied in building dams across rivers. In some places artificial dams are made, which are used for purposes of fishery (see Fig. I 39). Here the foundation is made in the manner just described. covered with hemlock-branches in order to facilitate the desposition of gravel above the dam. Some different interpretation of what “Whulk” means but that’s Boas for you. Boas illustrates many many log piling and cribbing features used on the rivers in the construction of fish traps and dams, a very common construction technique when away from the big sandy beaches (which are often inhabited by archaeologists in the summer). I’ve added this info to the “Events” Sidebar. twoeyes: I guess we might meet in the middle then – without the full range of possible site formation processes being considered, such as these non-typical (or not so non-typical) house styles, midden-forming, and so forth, then you can primarily observe all you want but you won’t know what you’re seeing. And if the site formation includes a lot of terra-forming, for example, then does it make sense to follow those who propose picking the midden apart with their dental tools a la Julie Stein, or should we just let’er rip? Remi — that does sound like the archaeological signature of this kind of site, for sure. Jim – great comment, thanks. I especially like the idea of looking at those cribbed fish weirs and stuff as analogues for the construction repertoire. The idea of use of branches to control natural deposition is an expression of the same harnessing of natural processes that gives us clam-gardens. And the place name Xulku to boot! One word says it all…Grizzly Bears! Sorry….needed two words.